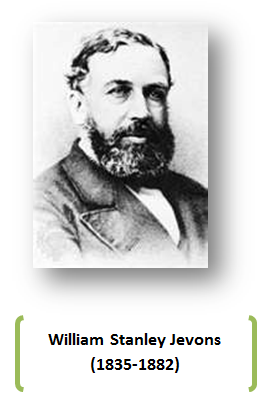 William Stanley Jevons was a British natural scientist turned economist, educated at University College, London. Taught at Manchester and London. Wrote many books and papers, but by far the most important is his Theory of Political Economy (1871). Generally given credit for initiating the ‘Marginal Revolution’ (the Marginal utility theory). Also one of the founders of Econometrics.